A woman who grew up in China during its Cultural Revolution describes the grueling physical labor she endured on Red Fire Farm, her forced segregation from men, her sexual relationship with her platoon leader, and her introduction to acting. 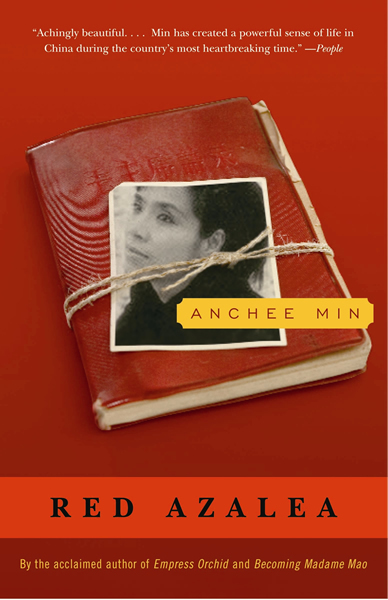 "This is Min's first book, but few seasoned writers can convey the uneven terrain of the human heart as well as she has—A book of deep honesty and morality[a] remarkable story." "Vast, incredible—her amazing prose pulses like a heartbeat through every page—grim and surreal." "Harrowing tales of life under totalitarianism have been published before, but Anchee Min's Red Azalea the story of a young girl coming of age in thrall to Maoism ranks as one of the most memorable." "Part of it reads like raw testimony, part of it reads like epic drama, and part of it reads like poetic incantation." "Unparalleled deptha major contribution to the subject of coming of age during Chinas cultural revolution." "A distinct and moving voice speaking out of a cauldron of history." "No Chinese, much less a Chinese woman, has written more honestly and poignantly than Anchee Min about the desert of solitude and human alienation at the center of the Chinese Communist revolutiontruly universal relevance and appeal."